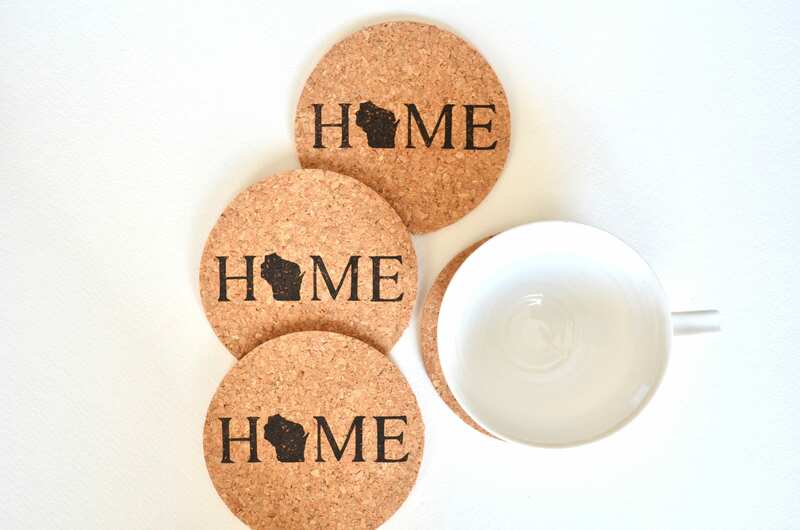 HOME State Cork Coasters - Almost Every US State and CA Province Available. 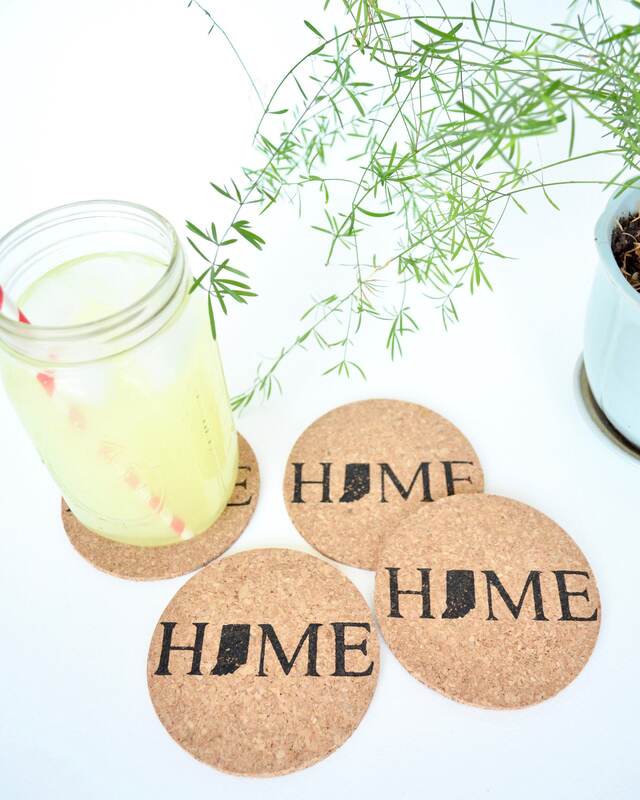 Choose from basic cork or premium coasters backed with leather. 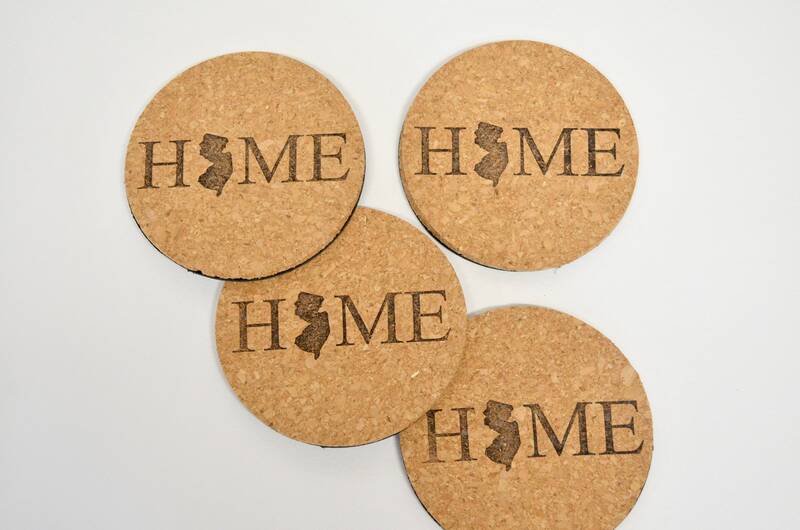 Show your state pride and adorn your home with these lovely, hand stamped coasters. Use the drop down menu to easily select your state. If you don't see your state listed, please contact us. If we have yet to create a stamp for your state, there will be a short 1 day delay in completing your order as we manufacture the ink stamp. If you have questions, please contact us. 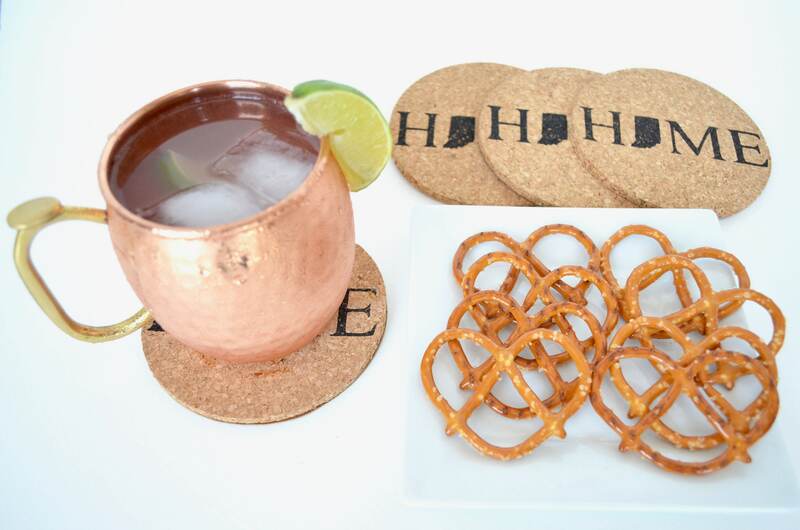 ~ Standard Set of 4 Coasters - Simple coasters with image. 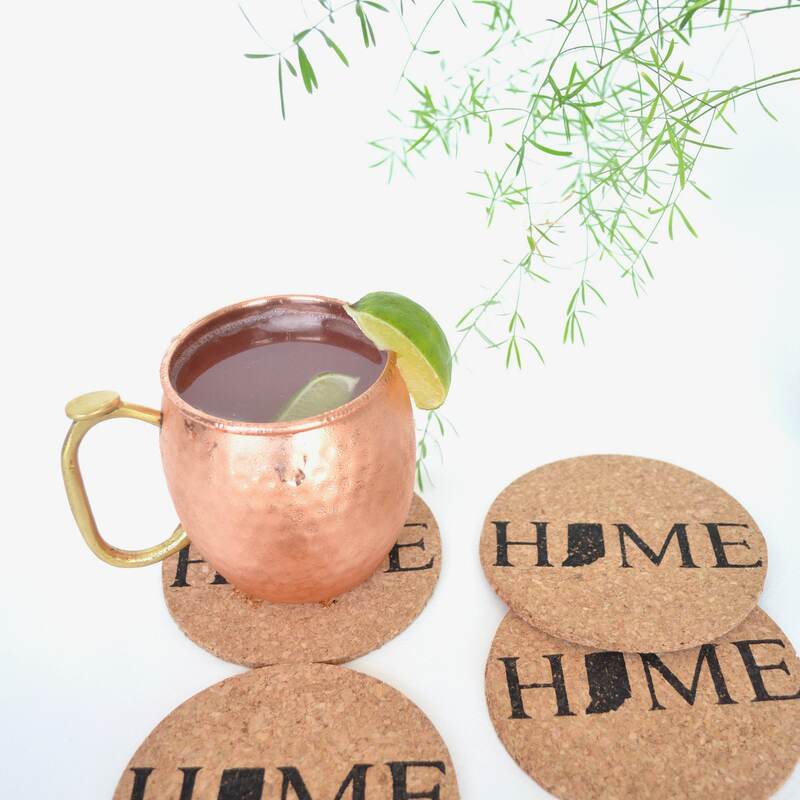 ~ Premium Set of 4 Coasters - Features genuine, 5-6oz leather backers attached to each coaster that will help to ensure years of happy use. Select from Chocolate Brown, Black, or Caramel Brown colored leather. 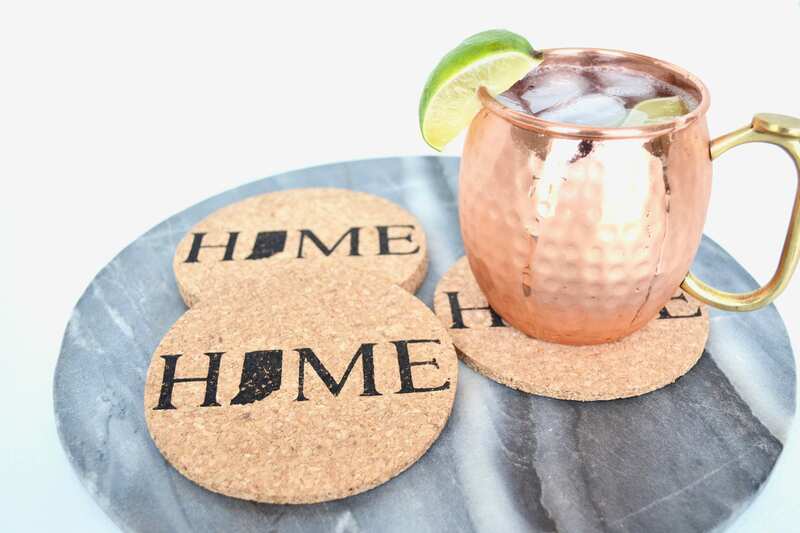 ~ Each coaster is 4.5" wide. 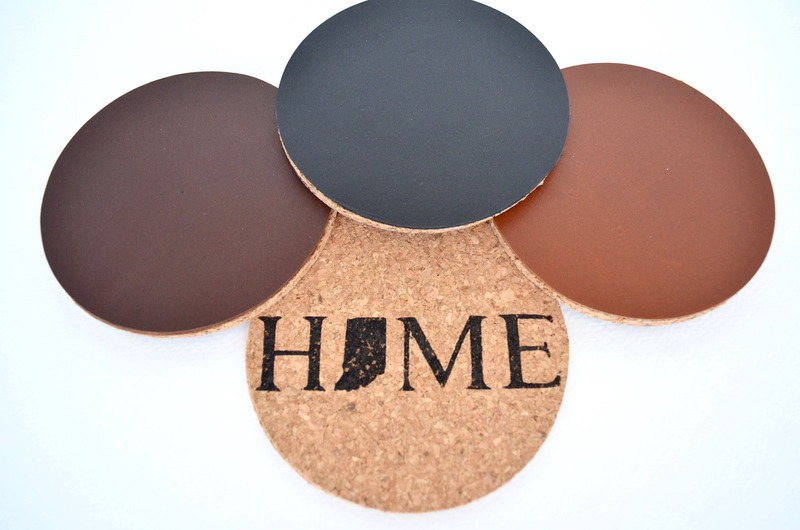 ~ Our cork is 5mm (.19in) thick. 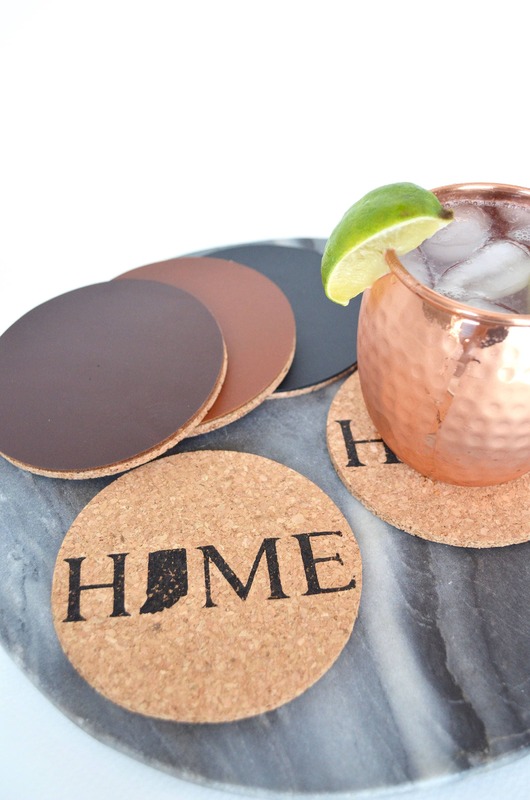 ~ Each set of coasters features a hand inked, water resistant image. ~ Each set of 4 coasters are shipped wrapped in white tissue, ready for you to use or gift. Custom state/countries available upon request. Amazing quality! 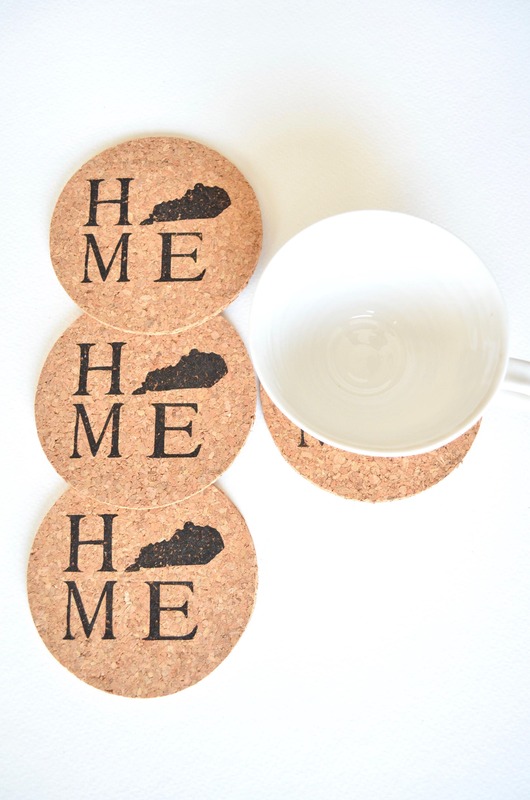 Love my cork coasters! 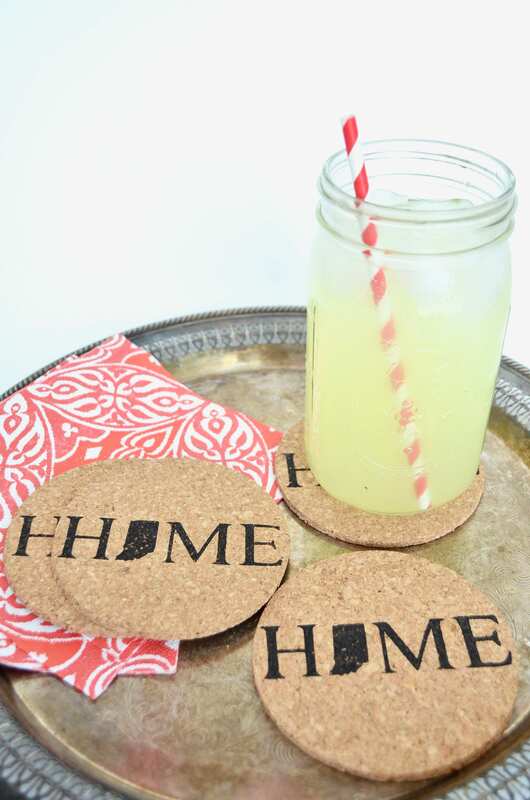 These look so cute and we’re so inexpensive! I also received 5 instead of 4!!! Thank you so much! Nice decor update and useful.